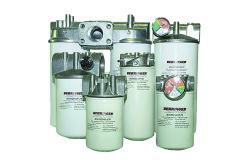 We offer one of the most complete lines of spin-on filtration products on the market today. Using cast-aluminum heads with many different porting options and configurations allows us to accommodate most all applications suitable for spin-on filtration. High performance filters for modern hydraulic system. Nominal pressure 10/16/25 bar (140/230/360 psi), nominal size up to 160.